Small to 9XL Purple Steel Cinch Corset (purple or green) tantalizing and sturdy! Devil-ishly hot - striking red tapestry corset with lush fur accent all sizes! New Red White Corset Bustier - Polka Dot Corset Tantalizing! TIPS: FOR BEST FIT take off 2 inches (from your measured natural waist) unless you are a "firm apple" shape.... 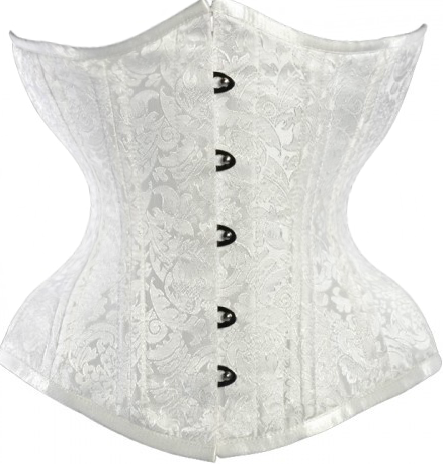 If you are wanting the BEST TUMMY COVERAGE go with a Longer Corset... If you are worried about AMPLE CHEST ROOM for wearing out and k eeping the girls lifted and voluptuous go for a Longer Corset (they have sweetheart busts).... if you are WANTING THE FIRMEST HOLD FOR A REDUCED WAIST, go for a Tapestry or Steel Busk Long Line Corset... 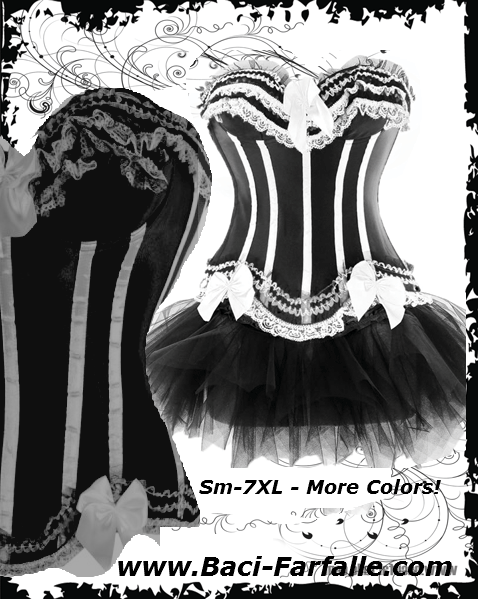 If you are WANTING A SMALL CHEST TO LOOK LARGER, go for a corset with cups.....If you are worried about LOOKING GOOD IN A TUTU you can wear tights or leggings with lace shorts or booty shorts over, then the tutu over that, so you can rock any look and feel confident! ©2019 Corsets & Partywear xs-10x. All rights reserved. Powered by Shoppe Pro.